Happy Halloween Weekend! 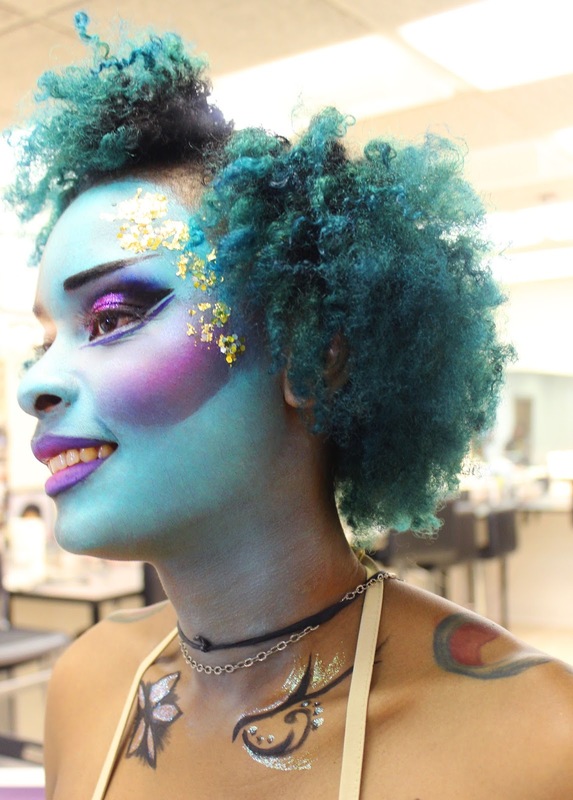 I wanted to share with you a recap of my recent Halloween Workshop at Industry Makeup Academy. 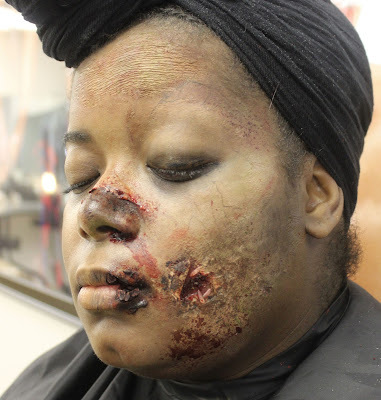 It was a lot of fun showing my students how to create FX and theatrical techniques to prepare them for Halloween. I did makeup for both ends of the spectrum, gore and glam. Maybe this can help you throw together a last minute Halloween Costume this weekend. Zombie makeup is fun. You just have to keep stepping back and taking a look at your work to add touches of blood, bruising and veins to keep making the look awesome. The key to this look is learning how to get full rich color, and blend different shades and textures on top of it. Using a face paint helps achieve rich pigment and then topping it off with various makeup mediums just turns the look into art. Hope you enjoyed my recap. If you can think of any last minute Halloween Makeup looks you'd like me to try, let me know! All the makeup used in these looks is from www.Graftobian.com. Use coupon code Halloween for 10% off.